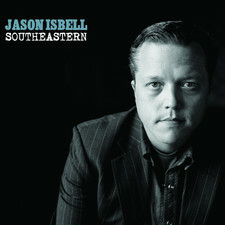 Jason Isbell is back, and this time without his backing band The 400 Unit.How does he manage on his own? Prety damn well I'd say! While with the band he released the very good "Here We Rest" in 2011 (and previous albums before that of course), solo he releases what might be the best album of 2013! Isbell has been sober for over a year and this album is honest, and emotional. But it does not turn into a sob story album It has this rawness to it that can be found in Ray LaMontagne, Ryan Adams and David Ramirez. The album starts out strong with "Cover Me Up", which is just a brilliant song. To be honest the most part of the album is acctually billiant. Songs like "Stockholm", "Songs that She Sang in the Shower" and "New South Wales" are just candy to your ear. There are also more up-tempo songs like "Super 8" and "Flying Over Water", which are also great. But it is when he slows down, like on "Travelling Alone" where he is joined by wife Amanda Shies on vocals and violin that the album really shines. 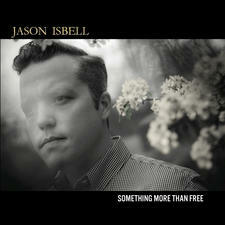 Isbell has a great voice and lyrically there is nothing to compain about either. Southeastern is an album that will have fans of say Ryan Adams and David Ramirez drool. It is an almost perfect album. In my book this is very likely the album of 2013! Excellent work mr Isbell!